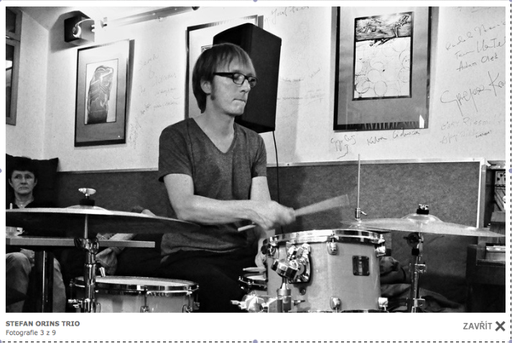 Stefan Orins Trio - Site de stefanorins ! Taking its inspiration from Scandinavian landscapes, Stefan Orins’s pieces mix harmony, density and energy. Behind the pianist’s tunes, which indicate paths to follow rather than compositions in the classical sense, hides a very northern sensibility which suggests the spark of life contained in every little thing. His Swedish roots provide the inspiration that give this music its sense of space and its aerial quality, reminding the listener of Keith Jarrett in the 70s, of Bobo Stenson, or of John Taylor. 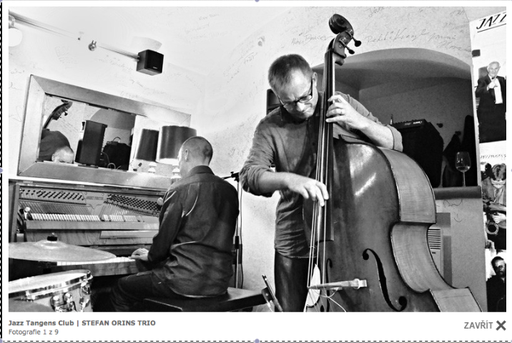 The group goes beyond the traditional clichés of the piano-bass-drums trio, by putting the communication between musicians at the forefront. The energy flows ; spontaneity, lyricism, and simplicity are the keywords here. 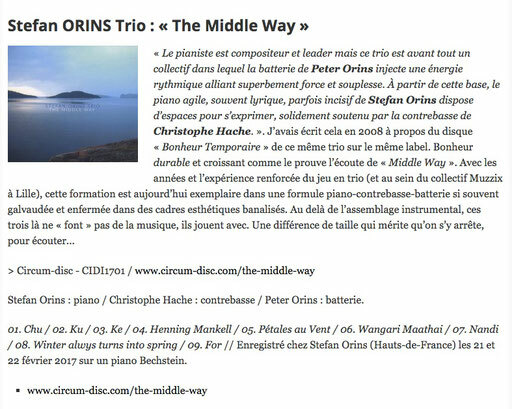 Premières chroniques de l'album "The Middle Way" du Stefan Orins Trio sur DragonJazz, Les Dernières Nouvelles du Jazz, The Chronicle series et Salt-Peanuts ! 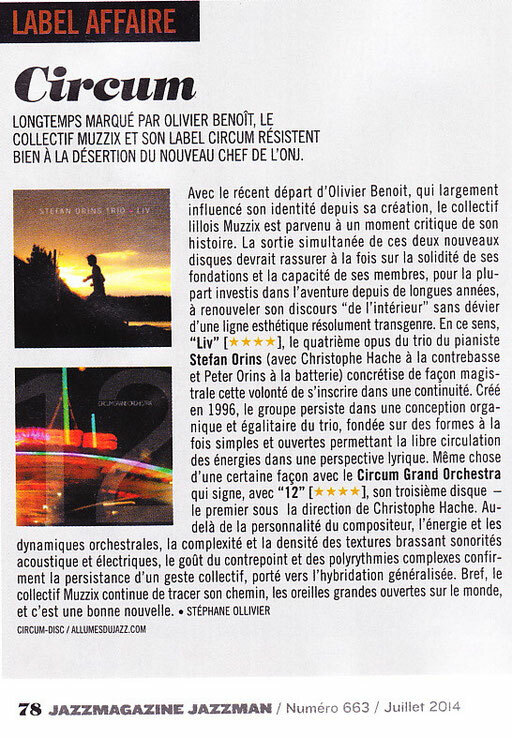 New revues about "The Middle Way" album on Citizen Jazz, Culture Jazz, DragonJazz, Les dernières nouvelles du Jazz, The Chronicle series, Salt-Peanuts ! 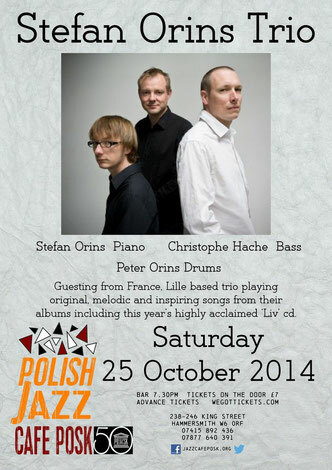 Le Stefan Orins Trio a fêté ses 20 ans en ouverture du Tourcoing Jazz Festival en octobre 2016 ! 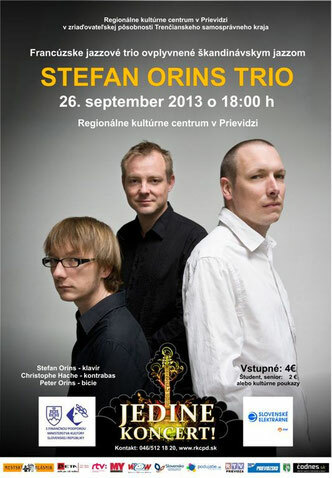 Stefan Orins Trio has celebrate its 20th anniversary in October 2016 in the opening of the Tourcoing Jazz Festival ! 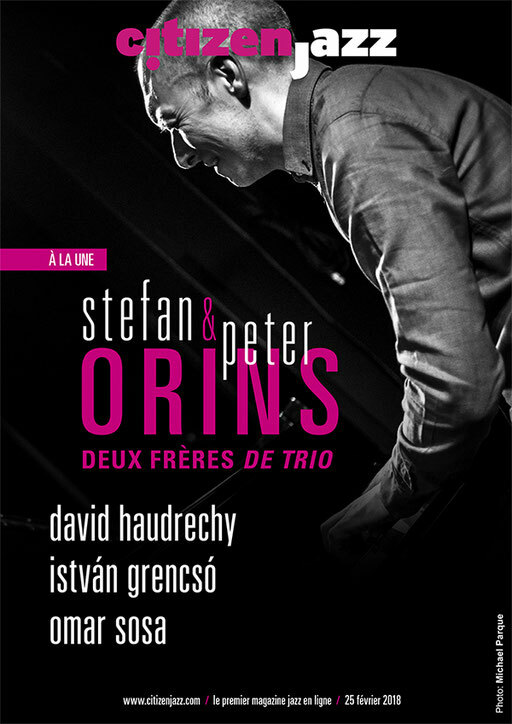 Le vendredi 17 juin 2016, Stefan Orins Trio s'est produit au Lille Piano Festival ! 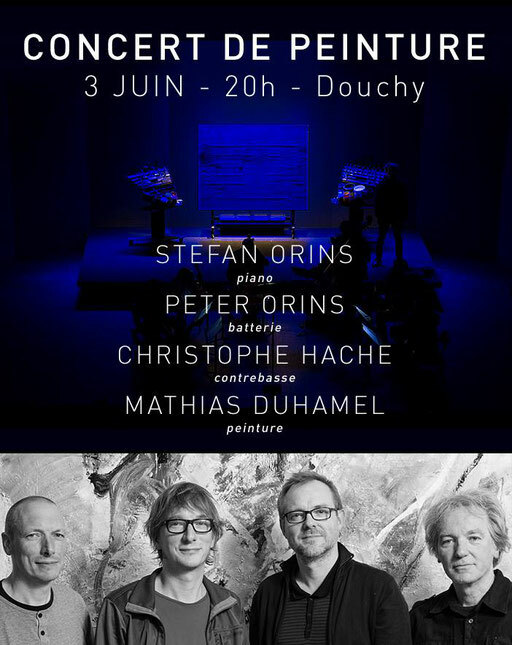 Stefan Orins Trio has performed in Lille Piano Festival on june 2016, friday 17 ! Le trio a été en résidence de création pour l'écriture d'un cinquième répertoire, à la fin du mois d'août 2016 au Phénix Scène Nationale de Valenciennes et en septembre 2016 à la Malterie (Lille), et aux Arcades (Faches Thumesnil). 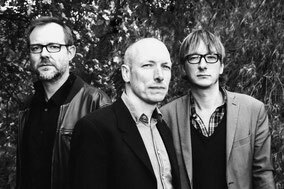 The trio has worked on the creation of the songs for the next album, several workshops are sheduled in august and september 2016 with our concert hall partners : Le Phenix (National Theater of Valenciennes), La Malterie (Lille), Les Arcades (Faches Thumesnil).